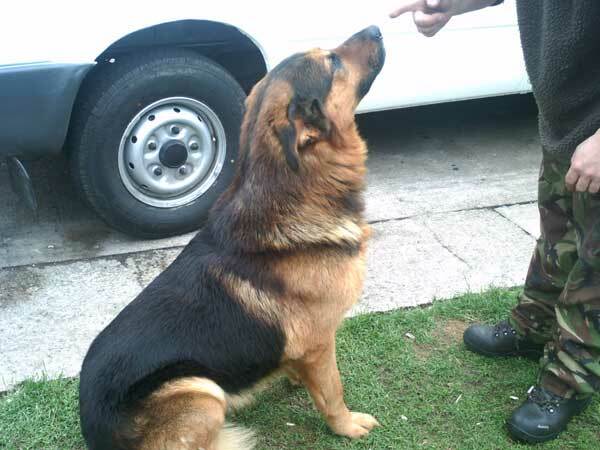 5 yr old entire male, Black/tan short coat. Bam is a nice all round gentle dog,volunteer said he was no bother when she went to see him, he gets on with other dogs, cats unknown. Reason for parting, new baby and he isn't getting the exercise he needs and so is getting very giddy around the house.So we are not sure what he is like around children as he has only had contact with the baby and been ok.. This is Chance, an entire 9 yr old male. Chance is a big dog, who has always been kept outside. He is great with children when he mixes with them & is currently living with 6 children from ages 5 yrs upwards & loves to be around them. 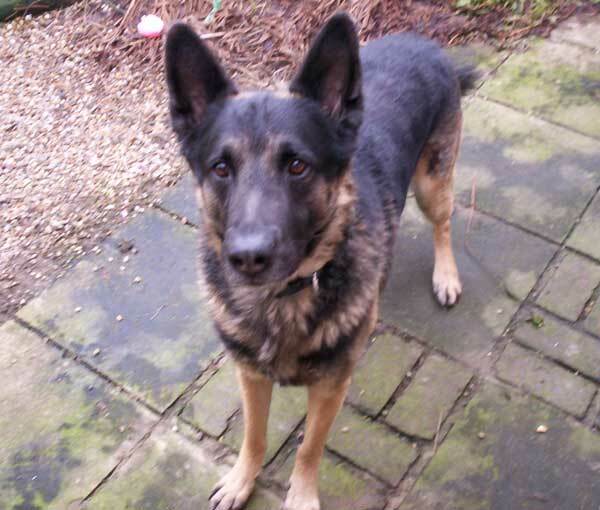 He is good with other dogs, he lives with Bull Terriers & his son, who is also up for rehoming. Chance lives with a variety of other animals, including cats & ferrets & although shows alot of interst in them is never aggressive. Chance has been taught alot of commands, & responds quickly. He isnt food or toy possessive, and loves having a bath. Loves travelling in the car. Walks really well on & off lead. Chance is a big dog with a lovely temperament. He is being rehomed as his owners are relocating to Scotland. This big bundle of fun is Samson, a 5 yr old neutered male. Although not 100% GSD he is all gorgeous dog! 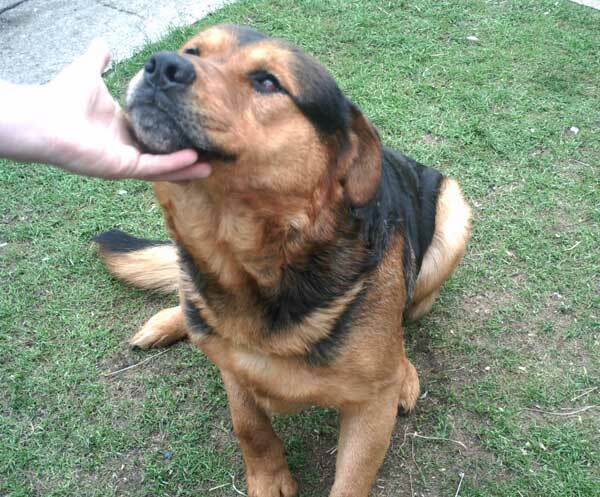 His mum was a Rottweiler & his dad is Chance, a GSD also up for rehoming. They can go together but not imperative. Samson is a well behaved boy, who adores people of all ages. He lives with cats, ferrets & guinea pigs & loves them all but would chase them. He lives outside in a kennel, but is well behaved when he does come indoors. He shys away from dominant dogs, including his dad! He isnt toy or food possessive & enjoys a bath. Excellent on or off lead. Samson is just a really laid back boy, who just wants your love. He is a little overweight & would benefit from more exercise. Just a big, daft boy! Samson is being rehomed due to his owners relocating to Scotland.